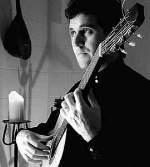 Gareth Koch is a classical guitarist based in Newcastle. He is Head of Plucked Strings at the Faculty and Conservatorium of Music in Newcastle. He has also released several albums.